The ThinkPad Helix is back, and Lenovo attempts to improve on it by stuffing Intel’s new Core M CPU in it along with more choice in keyboard docks. 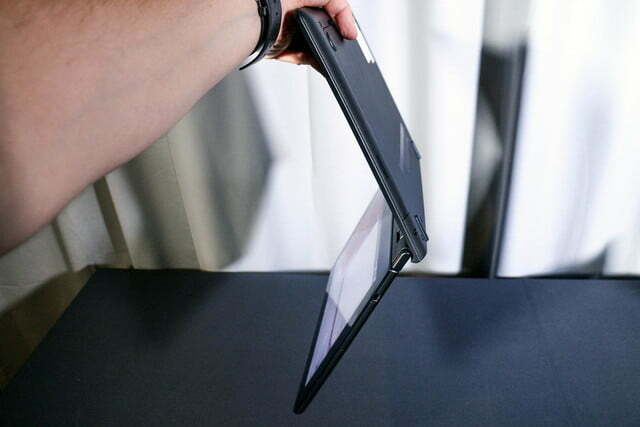 More than a year and a half ago, Lenovo introduced the last ThinkPad Helix, a detachable laptop that was supposed to combine the best of both worlds: a laptop that you can turn into a tablet whenever you want to. We liked it a lot, and even recommended it, but it had flaws: It was heavy, hot under load and the battery didn’t last long enough, to name a few. Now Lenovo is following up with a new ThinkPad Helix that aims to fix some of those issues. It’s thinner than its predecessor, includes Intel’s brand new Core M chip, and is significantly cheaper. 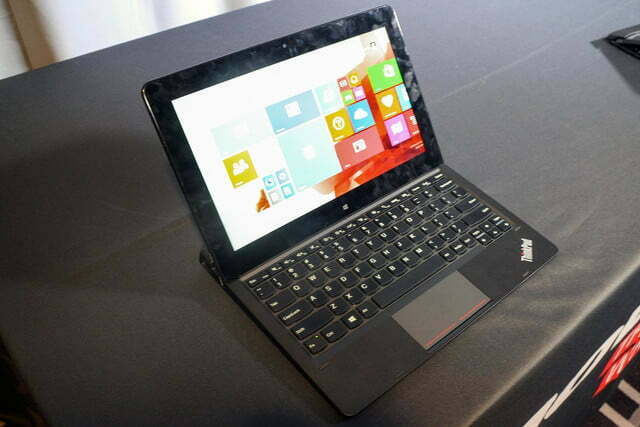 So, has Lenovo improved on its Helix and delivered an even better version of this work-centric detachable laptop? Here’s what you need to know. One of the first things we noticed about the Helix is that the tablet portion is actually heavier than it was the last time around. The claims of long battery life, solid specs, and a trusty keyboard make the 11.6-inch ThinkPad Helix a great coworker. 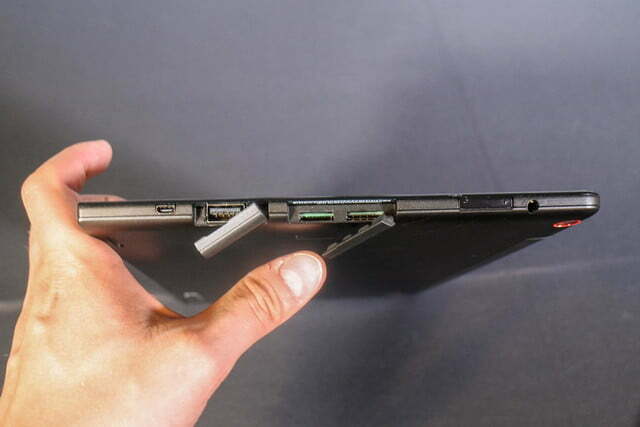 In our review of the 2013 model, we noted that the tablet weighed 1.73 pounds. 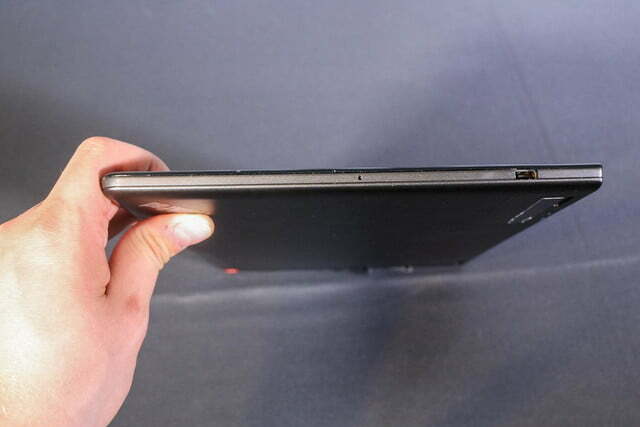 Meanwhile, Lenovo tells us that the tablet in the new ThinkPad Helix weighs 1.8 pounds. Intel’s Core M might make way for super-light devices in the future, but that’s not happening quite yet. At least, not in this case. On the bright side though, the tablet is at least thinner. The new Helix’s tablet measures 0.38 inches thick, while the review unit we got back in early 2013 measured 0.46 inches. The other thing that we picked up on in no time was the fact that the display bezel on the new Helix is an absolute magnet for fingerprints. As soon as we got our paws on the system, prints were left behind, and considerable wiping was required to banish them. 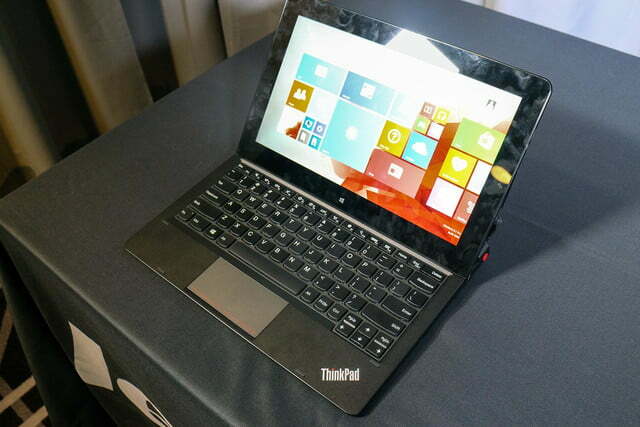 The ThinkPad Helix will be offered with a choice of two keyboard docks. The higher-end version, which is the dubbed the Ultrabook Pro keyboard, includes a built-in battery which ups the Helix’s endurance to up to 12 hours. The other, the Ultrabook, strips out the battery, which fixes the Helix’s maximum life at 8 hours, but makes it cheaper (and lighter) as well. The original Helix only offered the choice of a battery dock, so the stripped-down Ultrabook variant is a welcome change. Both docks will include an excellent keyboard, which is something that Lenovo is known for. When we typed using both Helix keyboard docks, we found key travel and feel to be excellent. We registered an extremely low amount of errors while we hammered away. We also found the touchpad to be sufficiently sized as well, and we have no difficulty using it in place of a mouse and performing gestures. The Ultrabook Pro will permit you to put the Helix in tablet, stand, laptop, and tent modes, while the vanilla Ultrabook will be limited to laptop and tablet only. They also differ when it comes to ports. The former offers a pair of USB 3.0 ports, along with mini DisplayPort. The latter will only include one USB 2.0 port, and no DisplayPort. On top of that, the Pro will include a TrackPoint button, while the standard dock will not. Both will include a pen. One of the complaints we had with the last Helix was the lack of keyboard back-lighting. While this feature won’t be available with the standard Ultrabook keyboard dock on the new Helix, back-lighting will be included with the higher-end Ultrabook Pro dock. We didn’t have Internet access when we played with the Helix. However, we did our best to stress the system. We opened a browser, launched a bunch of (empty) tabs, switched back and forth between UIs in Windows 8.1, and opened a handful of apps. The Helix never felt like it buckled or even had to breathe heavier. As we mentioned, the new ThinkPad Helix includes an Intel Core M processor, which has yet to be officially detailed by Intel. All of the other core components that the Helix will likely ship with should more than suffice. They include an 11.6-inch 1080p display, as much as 4GB of RAM, and speedy SSDs that will range from 128GB to 512GB. That should make for speedy data access and program loads. Ports on the tablet will include USB, mini HDMI, an SD card reader, and possibly a slot with a SIM card in it. We’re unsure whether the new Helix will include 802.11ac or 802.11n Wi-Fi. The new Lenovo ThinkPad Helix promises to include an excellent keyboard experience regardless of what dock you opt for, and includes Intel’s latest Core M chip, which could translate into improved battery life in a big way. Will that turn out to be true? We shall see. In any event, the claims of long battery life, solid specs, and a trusty keyboard make the 11.6-inch ThinkPad Helix a great coworker. Fortunately, it won’t be long before we get one in our hands. 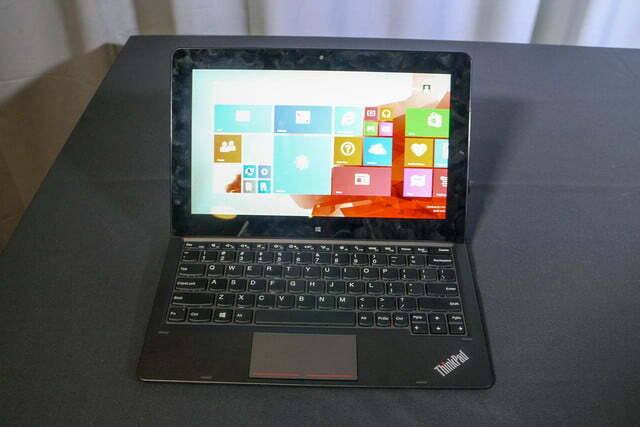 Lenovo is launching the ThinkPad Helix sometime this October starting at $999 with the standard Ultrabook keyboard. The Ultrabook Pro keyboard won’t be available until sometime in January, and the price for that is currently unknown.